After nearly 40 years in the biz, The Belgian Waffle & Omelet Inn is a Utah institution. Despite popular belief, personal experience shows breakfast food is best consumed between the hours of 2-6 a.m. Golden waffles slathered with whipped butter and syrup, omelets that blur the boundaries between where eggs end and melted cheddar cheese begins and paying respects to the porcine triumvirate of ham, sausage and bacon are pleasures best enjoyed nocturnally. 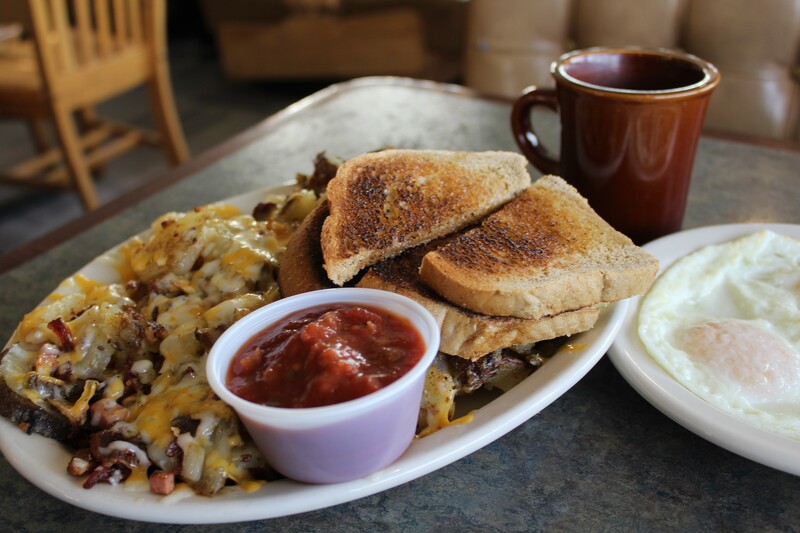 It's a market that Denny's and IHOP have all but cornered, but we'll always be grateful for local spitfires like The Belgian Waffle & Omelet Inn (7331 S. 900 East, Midvale, 801-566-5731) that maintain the local color that made these all-hour greasy spoons popular in the first place. The restaurant officially opened in 1979, but it was a hotshot young cook by the name of Jeff Wilhelmsen who made it shine. After purchasing the restaurant in 1980, he re-branded it as The Belgian Waffle & Omelet Inn. Since then, Wilhelmsen and his team have managed to preserve the family diner's heritage by serving up diner staples, homemade pies and waffles that do Brussels proud. My first experience with this Midvale mainstay was actually years ago as a high school senior. I wasn't trying to get drunk or laid on the weekends (read: Mormon), so the Belgian Waffle became one of my favorite after-hours haunts. I have many fond memories of seeing a late-night movie with my friends and spending the rest of the evening discussing it over waffles and hash browns within the comfy vinyl cushions of a TBW booth. A first-time visitor to this cozy haven for all things golden brown could possibly interpret the humble surroundings as dive-y—but that's why the place is so charming. It wears the beige/brown color palette of its birth era like a badge of honor, boldly informing its customers that it's not in the business of that highfalutin molecular gastronomy hogwash. With a name like Belgian Waffle, it should go without saying that breakfast is why this place exists. The Belgian Delight ($6.99) lets diners customize the restaurant's eponymous waffle with a wide range of toppings, including ice cream and chocolate syrup. I tend to waffle—yuk, yuk, yuk—between the fresh strawberries and whipped cream versus the ice cream and chocolate. The Belgian Brunch ($7.79) is ideal for those who like a bit of savory with their sweet—it comes with a choice of bacon, ham, sausage or fried chicken. While the waffles are the place's trademark, its secret weapon is something known only as Garbage Hash ($7.49 or $8.99 with eggs). Legend claims that this monolithic heap originated as a dish that Wilhelm would cook for the staff on special occasions. Once customers got wind of the physics-defying engineering skills that combined a metric ton of hash browns, ham, bacon, onions, green peppers and mushrooms with the melty embrace of jack and cheddar cheese, they had to have it. The first time I ordered this monster was on a dare. It can easily feed two people, but on a day when I'm particularly peckish, I can still summit this mountain. Its sheer size and scope combines everything that is good about savory breakfast into an unapologetically gleeful mess. The extra $1.50 for two eggs over easy is more than worth it—nothing brings the whole thing together quite like some golden yolks. While you're testing the limits of just how much food can fit in your mouth at once and turning your napkin inside out for the third time, take a moment to sop up the full experience—service with a smile at the hands of a server who refers to you as "sugar" or "hun," a cup of coffee that never runs empty and the worn Naugahyde-upholstered booths that call the place home—all of which hearken back to a simpler time. You'll quickly realize, whether you're a longtime fan or you're just looking for a place to get reasonably-priced diner food in the middle of the night, that it's the lack of pretension and warm service that's made TBW an institution. Here's to the next 40 rib-sticking years.